My name is Dr. Rajiv Desai. I was brought up and educated in Mumbai, India. 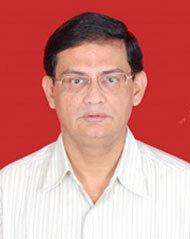 I got MD degree in Medicine from Mumbai University in the year 1987. I am Single. I am working as a medical specialist in Daman, India. This website is created to educate people using my spare time. Information is different from education. Education is systematically organized information with predefined objectives. The aim of this website is education of masses and not merely providing information. As far as plagiarism and copy right issues are concerned, I want to emphatically assert that this is an educational website providing free knowledge to browsers on various subjects. All the posts are free to people and there are no advertisement on it. I am not making any money out of this website but in fact paying from my pocket for creation and maintenance of the website. Yes, I have to take some content from other websites, books, journals and media but these are factual contents and not creative contents; and I do not claim it to be my original work. Free education and research is neither plagiarism nor infringement of copyright. Nonetheless, if anybody (author, researcher or scientist) feels that his/her work is appropriated in the website content without due credit to him/her, I offer unconditional apology to them. You may also communicate to me by sending message through my facebook account. give you a shout out from Austin Tx! Just wanted to mention keep up the good work! Hi everyone, it’s my first pay a visit at this website, and article is actually fruitful in favor of me, keep up posting these articles or reviews. Thought I would comment and say cool theme, did you code it on your own? It looks really good! Your very own dedication to passing the solution around ended up being unbelievably effective and have usually empowered somebody like me to reach their pursuits. I would like to express my thanks to this writer for rescuing me from this type of instance. Right after researching through the world wide web and getting proposals which were not powerful, I was thinking my life was gone. Existing without the presence of solutions to the difficulties you’ve fixed by means of the post is a serious case, as well as ones that would have in a negative way damaged my entire career if I hadn’t encountered your web page. The talents and kindness in maneuvering a lot of stuff was valuable. I am not sure what I would have done if I hadn’t come across such a solution like this. I can also at this moment relish my future. Thanks a lot so much for the impressive and result oriented help. I won’t hesitate to refer your web sites to anyone who needs tips about this subject matter. Rien trouvé de mieux que de ressortir mittérand du placard pour défendre Sarkozy ! !